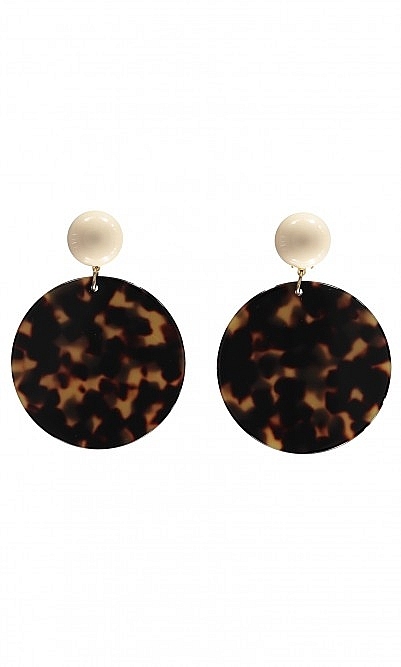 Swingy earrings made from lightweight resin discs suspended from cream cabochon studs. Clip-on. L8.5cm. Acetate, nickel-free.